Following the untimely closure of Westwood Studios, the developers of Command & Command series regrouped to form Petroglyph Games in 2003. In the years since, the company have released numerous real-time strategy titles both big and small, among them Star Wars: Empire at War, Universe at War, and Grey Goo, all scored by original Command & Conquer composer Frank Klepacki. Their latest title 8-Bit Armies has proven one of their best-received to date: blending the military tactics the company is famous for with 8-bit visuals and sounds. The soundtrack is available for a cheap price to anyone who bought the game through Steam. Anyone who enjoyed Frank Klepacki’s soundtracks for the Command & Conquer series will enjoy this. 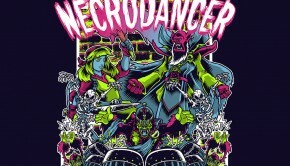 Much of the soundtrack featured guitar-laced rock tracks reminiscent of his classic themes with chiptune influences. 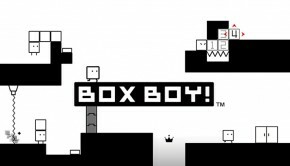 For example, the opening track “Blockhead” blends chiptune synths, rocking guitars, and electronic beats into a propulsive ultra-catchy anthem. 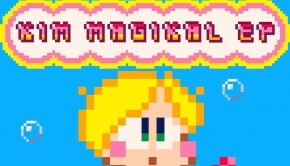 “Pixelated”, on the other hand, emphasises a dichotomy between the hard electric bass licks and jubilant 8-bit melodies. 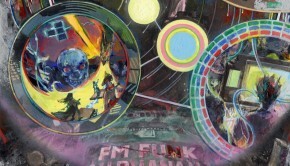 The solid sampling and mixing throughout the soundtrack ensures both elements of the soundtrack shine. While the chiptunes could be more authentic, they sound excellent in combination with the contemporary elements. Reflecting an indie gaming principles, Klepacki went for quality over quantity on 8-Bit Armies. Just nine tracks were requested for the game, but he ensures every single one of them is well-developed and richly-styled. A prime example of this is “Square Off”. Much of the composition is a slow-building tension theme written primarily for electronic synthpads and peppered with some simple chiptune elements. But just as the composition seems to have looped, it transitions into a spectacular climax at the three-minute mark. The similarly complex “Back For More” captures the ever-shifting tides of battle. “Oh Snap” is perhaps the vastest track of all, building up from an 8-bit introduction into a thrashing multi-instrumental climax. While the bulk of the soundtrack is all-out chiprock, there’s a fair bit of variety to enhance the game and soundtrack experiences alike. “More Byte” and “Check My Credits” inspires memories of Klepacki’s work on Red Alert and Renegade respectively. The former drops the chiptune elements completely in favour of overdriven guitars, while the latter showcases Klepacki at his funkiest. “Base Builder” is by far the softest track on the soundtrack, but it also filled with timbral and harmonic intrigue. Klepacki rounds off the soundtrack in style with “Battle Bit”, the one track on the soundtrack where the chiptune elements are dominant over the contemporary ones. 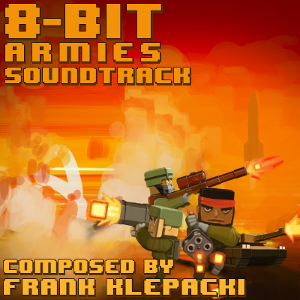 Overall, 8-Bit Armies provides a fun twist on the styles that won Klepacki his army of fans. His hybrids of hard rock with chiptune elements are simple in concept, but impressive in execution thanks to the diverse stylings, solid implementation, and in-game integration of the music. Real-time strategy fans and Frank Klepacki followers alike should seriously consider buying the 8-Bit Armies game and soundtrack bundle available at Steam now. Posted on April 25, 2016 by Chris Greening. Last modified on April 25, 2016.